The NGINX vision is to simplify the journey to microservices for our customers. As enterprises move to a DevOps approach to application development and delivery, the tools, stack and interoperability of it all can get very complex. The NGINX Application Platform helps reduce this complexity by consolidating common functions down to far fewer components, to help make application infrastructure scalable and more manageable. 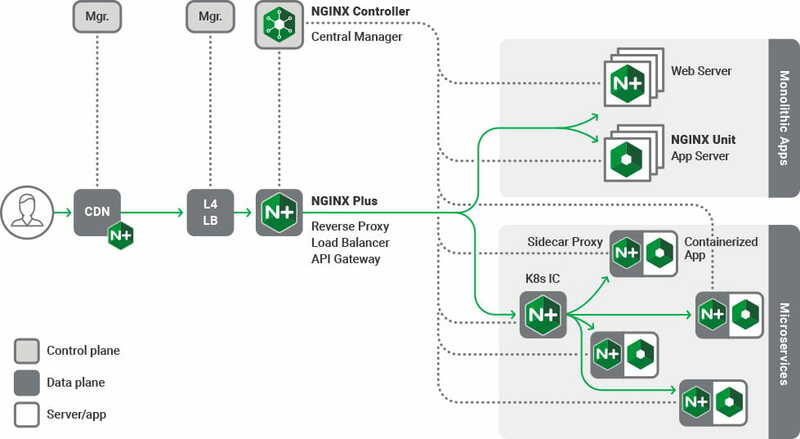 NGINX Plus is the only all-in-one load balancer, content cache, and web server available in AWS, providing HA with NGINX Plus and NLB, global server load balancing with NGINX Plus and AWS Route 53, and more.